Alas, planes don’t come equipped with recumbent bikes that allow you to cycle along and keep up your circulation. The big problem with flying and legs is that without a significant amount of walking and movement, the blood and fluids descend to the feet and stay there. Foot and leg exercises help, but only to a small degree, as the space is so restricted that seat aerobics is not possible. Walking is a great way to gain circulation back, or what is known as venous return, the pumping of the blood back to the heart. As you walk, the arch of the foot helps to pump the blood and fluids back up to the heart. However, airlines frown on 10,000 steps during flight. 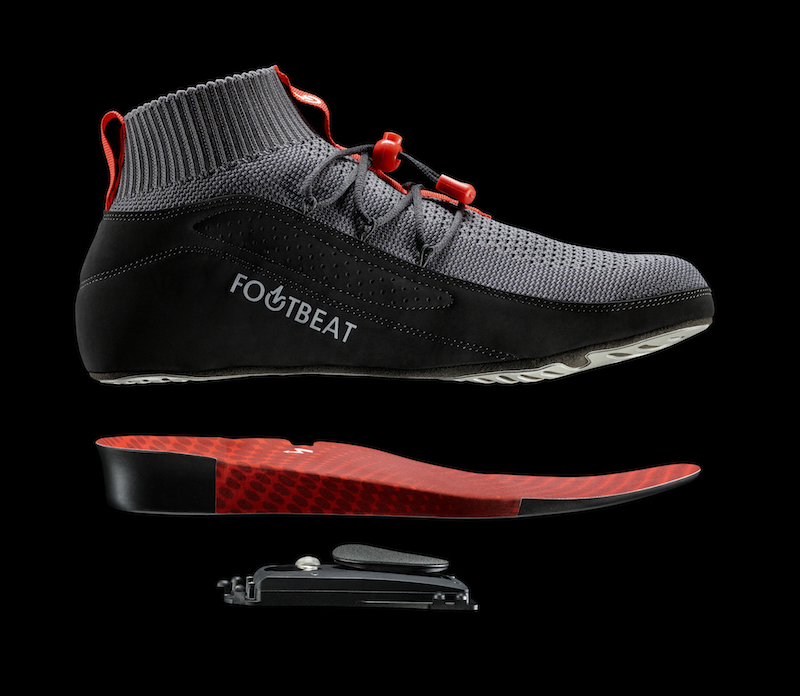 Enter the Footbeat, an ingenious device designed to augment the typical blood-pumping action of walking while you are seated. The device, which looks like an orthotic, sits inside a unique lightweight shoe. 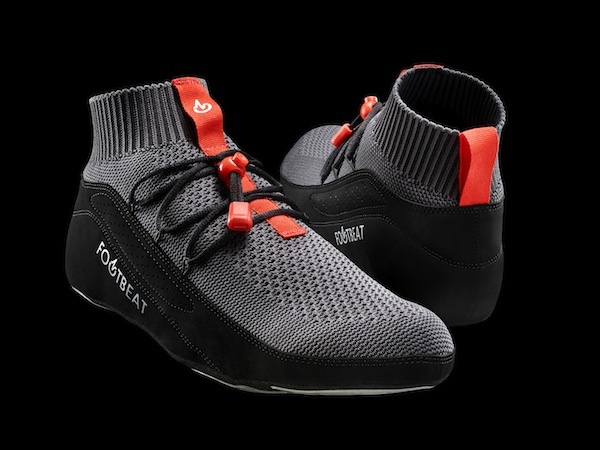 Just put on the special shoes, pull the lace system to the point of comfort, and then turn on the unit with either a remote or phone app. The special plate under the arch raises and lowers every 35 seconds for the health version, and 20 seconds for the sports version, to provide the pumping action to increase venous return and circulation. This cyclic pressure and movement to the plantar venous plexus at the arch of your foot perfectly emulates your body’s natural physiology contributing to blood return. 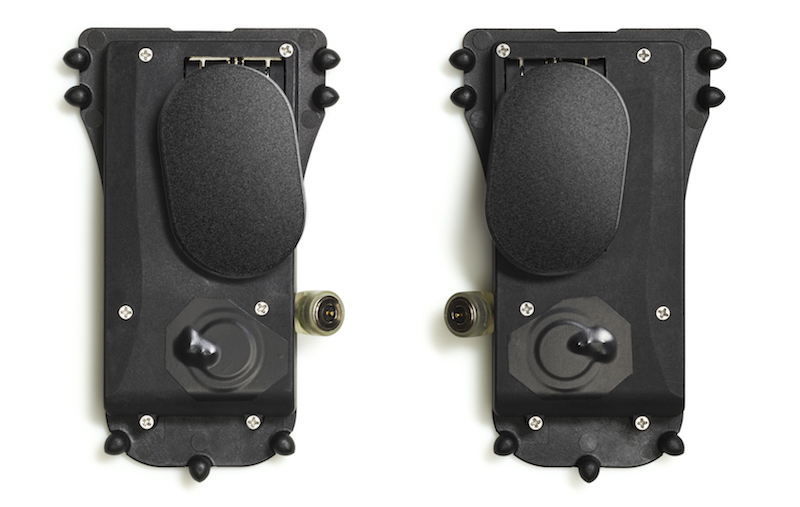 The Footbeat essentially provides the same circulation benefits of walking as you are sitting. 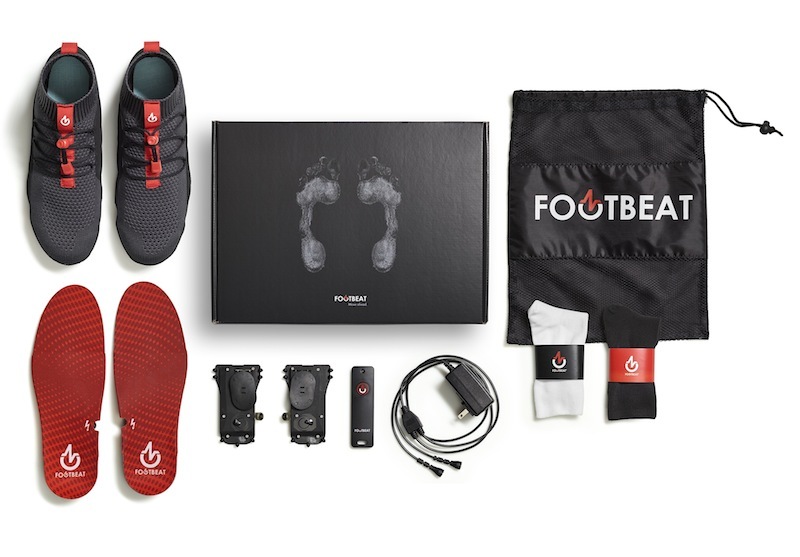 Developed by an MD, Footbeat has clinical research to prove it works. 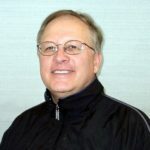 Athletic acceptance has been high with runners and triathletes, where leg recovery is essential for either performance or training the next day. If you have a medical condition that affects circulation, you should use this device with approval from your physician. Specifically, if you have recent blood clots, or suspect you do, that is probably a reason to not use this device, as the clots might dislodge. Traveling is a breeze with this device. You can either put the Footbeat on just before boarding or if you do not have to walk far, upon airport arrival. Just put on the device and unique moccasins, and when ready, start the sequence. This is an ingenious device for the price, $450. Other full leg compression systems are $1,500- $2,400, are not portable and don’t allow regular activities like working at a desk. This fits into a backpack or purse and weighs less than 2.25 pounds. At long last, there’s a device that allows you to get some spring back in your step after long flights.